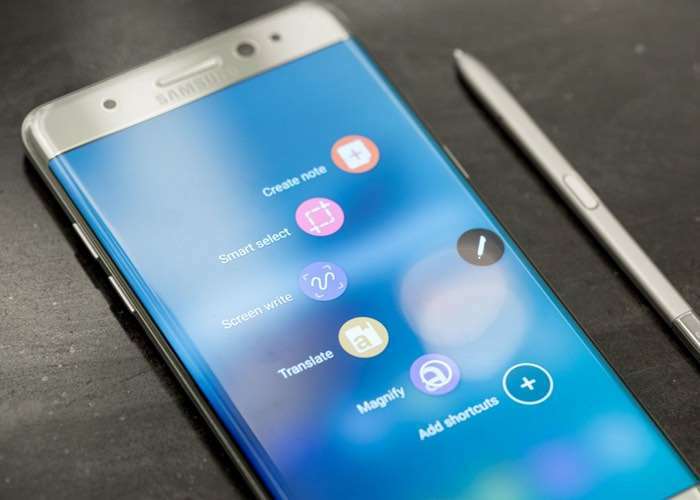 Samsung is getting ready to relaunch their Galaxy Note 7 as the Samsung Galaxy Note 7R in some countries and now it looks like it will launch soon. According to a recent report the Samsung Galaxy Note 7R will go on sale at either the end of May or the beginning of June. We recently saw some photos of the new Samsung Galaxy Note 7R, it is basically a refurbished Galaxy Note 7 with a smaller battery, the rest of the specifications in the device remain the same. The Samsung Galaxy Note 7R will come with a 3200 mAh battery and the original Galaxy Note 7 featured a 3500 mAh battery. The handset will also be around $260 cheaper than the original, Samsung will sell it for 700,000 won in South Korea which is about $620 at the current exchange rate. Samsung have not revealed what other countries will get the handset, although we are not expecting the device to launch in the US or Europe.